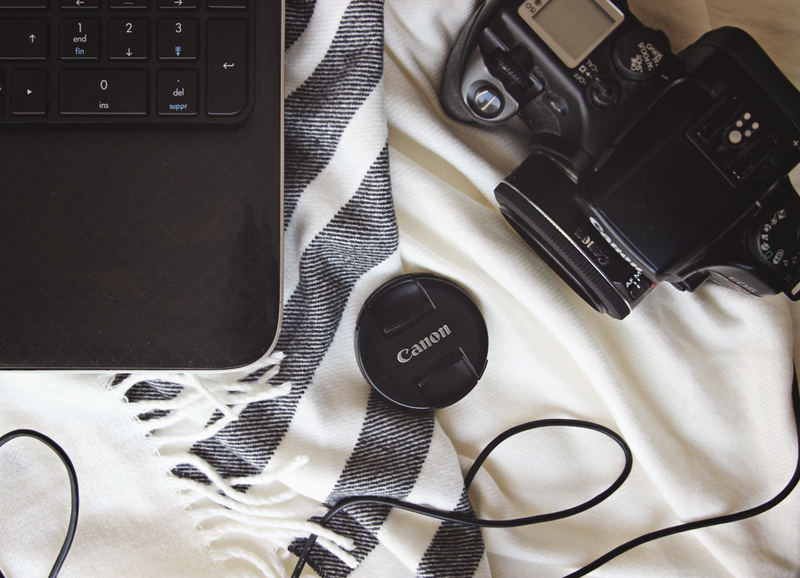 First up, hook your camera up to your computer via cable. 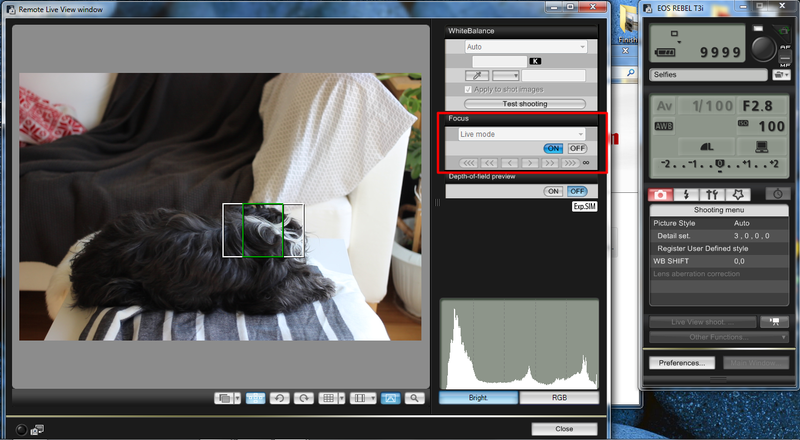 Then, EOS Utility > Camera settings/Remote Shooting. A panel should pop up that looks similar/like this. 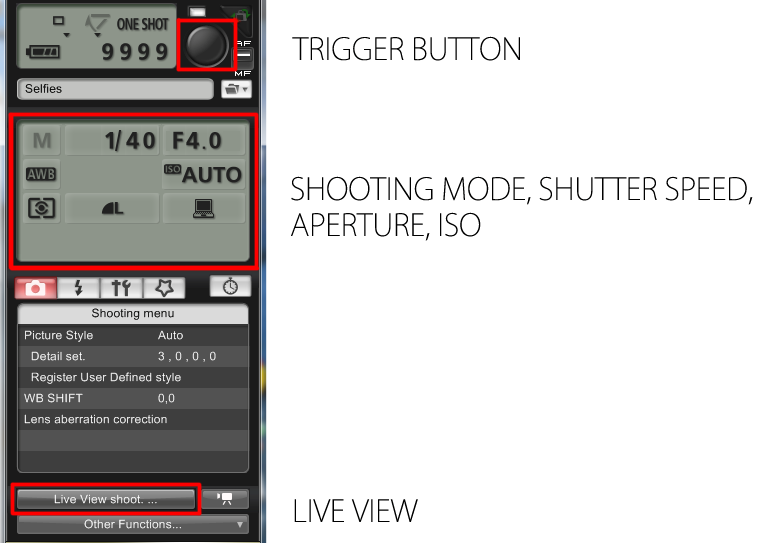 Here, you can control your camera's shutter speed, aperture, and ISO depending on what shooting mode your camera is on (e.g. manual, aperture priority, filming, etc). For instance, if I wanted to change the shutter speed, I would simply click on that box and scroll to the desired speed. If you want a live view of what your camera is picking up, then hit "Live View Shoot", which brings up this window. To focus: drag the white square to your subject, under "Focus: Live Mode" click 'on', and when the lens has focused properly, the square should turn green. Click the trigger button in the other window to shoot. 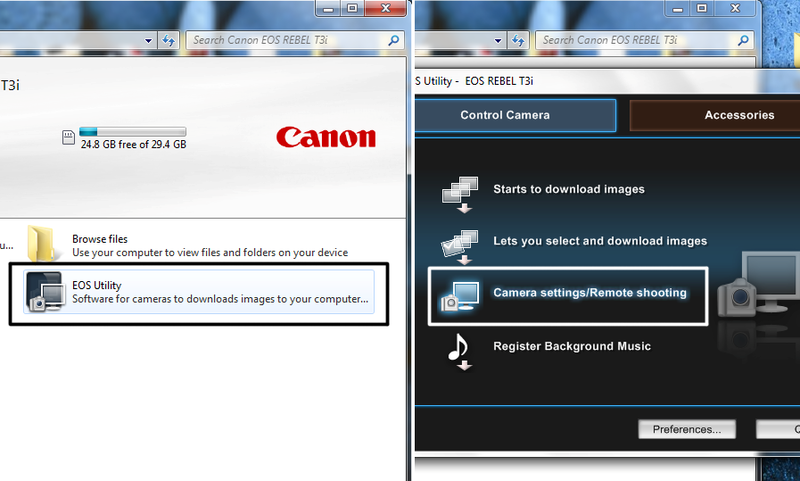 How many of you Canon DSLR owners knew about this?